THE Commonwealth has applauded President Edgar Lungu’s leadership in promoting equality in Zambia and girl child education and asked him to provide the similar leadership to other Commonwealth countries. 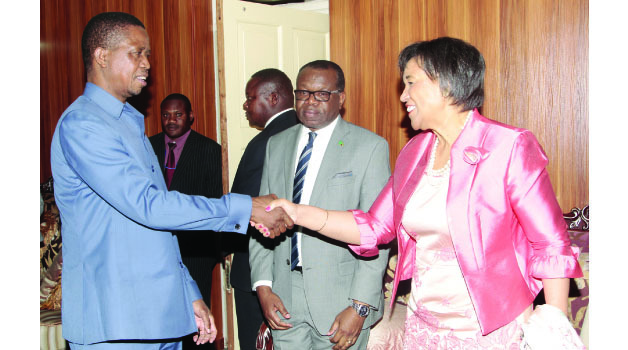 Commonwealth Secretary General Patricia Scotland said President Lungu had through his Presidency shown leadership in promoting equality among Zambians and education for young girls. Ms Scotland who reiterated the Commonwealth position that Zambia’s 2016 general elections were free, fair and credible also congratulated Mr Lungu for scooping the Presidency. She said this yesterday when she visited the President at State House, where the two leaders held a meeting which was partly open to the media. “I am also here personally requesting you to provide this leadership to other Commonwealth countries,” Ms Scotland said. She also said there was no country in the commonwealth that had a perfect electoral system and so there was need for all the countries to work together to improve engagement in their various processes. Ms Scotland said the Commonwealth had established a criminal and justice reforms centre to foster development in law reforms in all member countries. Law reforms were a common challenge for many Commonwealth member States. And President Lungu said the last general election was not 100 per cent flawless, but as observed by many institutions, it vindicated Zambia as one of the countries that upheld democracy. He said there was a need for the Commonwealth countries to work closely to promote good governance, eliminate corruption and empower legal reforms and in particular law drafting. 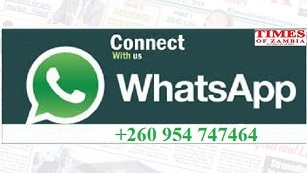 Mr Lungu said Zambia faced challenges in having sufficient numbers of legal droughts people. “We need your help either with training in skills for legal draftsmen or providing resources if it is the resources we are lacking,” he said. The President congratulated Ms Scotland on her selection as the Secretary General of the Commonwealth and urged her to revamp the values that the Commonwealth stood for. Ms Scotland is in Zambia as part of her sub region, visit which started with Uganda, then Zambia after which she would be traveling to Mozambique. Meanwhile, Ms Scotland yesterday visited incarcerated United Party for National Development president Hakainde Hichilema. He said while in the meeting closed to the media, the two leaders discussed various subjects including climate change. Ms Scotland of Dominica, once served as Attorney General for the United Kingdom and was selected as secretary general of Commonwealth in 2015 making her the first female secretary general.